This novel tells the true story of Margaret Oliphant's great-great-aunt, Katie Stewart - who is 8 years old when the story opens in 1735. 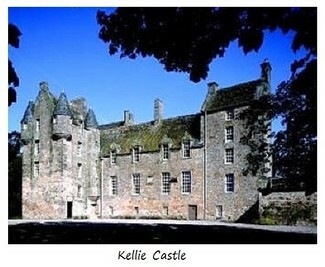 Katie's father is a prosperous miller at Kellie Mill; but she goes to live at nearby Kellie Castle, as friend and genteel companion to Lady Anne Erskine. Katie's many adventures include seeing Bonnie Prince Charlie march through the streets of Edinburgh in 1745. Love comes to her too, though in a form far different from her daydreams. When this tale of Fife began serialisation in Blackwood's Magazine in 1852, it was an immediate success. Katie Stewart was great-aunt to Margaret Oliphant's mother, who heard Katie's stories from Katie herself. Margaret Oliphant writes in her autobiography that her mother retold Katie's stories so vividly, that sometimes she felt she had lived through those scenes herself. Katie's sister Isabell, whose story is also told in part, was Margaret Oliphant's great-grandmother. For those interested in what happened to Isabell after the end of the novel, including how she became a direct forebear to Margaret, see Section 6 of The Family Tree of Margaret Oliphant.